The memory of when I first learned how to read glows like in my mind like embers still hot from their initial spark. I was in kindergarten. There were 26 big workbooks. One for every letter of the alphabet. The characters were Jack, Jill, their dog, a lion, and a silly troll that hid under a bridge. They lived in a world of bright colors and simple shapes. The letters we learned by tracing and copying over and over again in the workbook’s pages inhabited a parallel universe delineated by two horizontal, solid lines and neatly bisected into northern and southern hemispheres by a dotted equator. This monosyllabic realm of simple sentences was a very different one from that of the pictures above them. The pictures with their contrasting colors and crisply defined forms were immediately accessible. All I had to do was look and I could tell that Jack was walking, the dog was running, or that the troll was up to his usual tricks again. The letters, on the other hand, were monochrome, static, and boring. They floated orderly along in a horizontal matrix like cellular bodies pulsing through an artery delivering packets of information, but all of it was unintelligible to me. I had no idea how to navigate the individual letters, how to string them together in my mind to make create words, how to use these words to construct sentences that conveyed reasoning and sentiments. One day the teacher asked us to go up to her one by one and demonstrate our ability to read a few sentences from the workbooks. I was one of the last to go, and as I watched each additional kid pass the test with relative ease, I became more anxious. The page with its seemingly random black markings was unwilling to speak to me. I remember feeling dumb and left out afterwards with only my frustration and disappointment to keep me company. I don’t know how it suddenly clicked and everything made sense, but I remember the tremendous elation and clarity that followed. The letters began to coalesce into familiar objects and actions. A “J” preceding an “a” and a “c” concluding with in “k” became Jill’s companion. The “d” followed by an “o” and ending in a “g” turned into man’s best friend. A world once sealed was now cracked wide open and its secrets were revealed and unfurled. The horizon’s vanishing point was swept out much farther revealing unimagined distances and landscapes, and a parallel universe suddenly exploded and surged through my own reality. Words acquired real sense and meaning for me now, and in time I developed a strange tenderness for their appearances and sounds. My eyes lingered in the bowl of the “g,” slid down the spur of the “a,” and poked into the apertures of the “m.” My tongue glided over diphthongs, darted to pelt out aspirations, and froze for glottal stops. I relished onomatopoeias, portmanteaus, and loanwords and garnered the obscure – aglet, macaronic, etc. Everyday after lunch, every child received a foam mat, tables and chairs were pushed to the sides of the room, and every kid staked out their own little napping area. I could never fall asleep. I lay on my mat, stared around the room, made noises, disturbed peaceful slumberers, and played with whatever was in reach – dust bunnies and unpopped popcorn kernels from story time were only a few. As punishment, the teachers relocated me to a corner of the room where the bookshelves were located. They oriented the three bookshelves so that they created a U-shape and told me this was my special napping place from that point on. The penalty was essentially banishment to a cordoned off space where I would no longer be able to bother others, but as far as I was concerned, this was the best thing that could have happened to me at naptime. While the lights were off, shades were drawn, and the sound of slow, rhythmic breathing emanated from twenty small noses throughout the room, I perused book after book. When the lights were turned on, mats put away, and the snacks brought out, I would still be lost on a certain page trying to figure out an unfamiliar word or staring mesmerized by a rich illustration. Although the little nook’s actual size was no bigger than one mat, for me it was a limitless place. From the Berenstain Bears, I learned about the danger in consuming an excessive amount of television and junk food. From The Very Hungry Caterpillar and The Very Quiet Cricket, I was shown the power of transformation and the hope of change. If I was not in the best of moods, I would reach for Alexander and the Terrible, Horrible, No Good, Very Bad Day and reassure myself I was at least doing better than Alex. 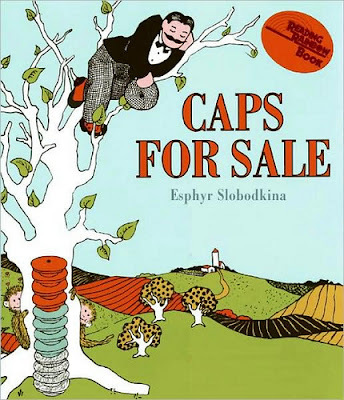 I took delight in the antics and follies of primates by reading Caps for Sale and Curious George. The Snowy Day testified to the majestic quality of the world around me, and Harold and the Purple Crayon showed me the magic of creation. In my small bookshelf corner, everything was made new again and instilled with wonder. But as I delved more and more into the world of letters and books, I found myself pulling away from another sphere. Everyday the teachers handed out the mats, and everyday I would eagerly retire to my bookshelf corner and be enclosed within its walls, separating me from the other kids who all dozed away. Instead of running around with other kids at sleepover camps during the summer, I explored the local ponds and parks in solitude and tried to spot orioles and red-tailed hawks while clutching my copy of the Audubon Society’s Field Guide to North American Birds. I learned how to make buttermilk and the importance of hard work from Little House on the Prairie, but I was not able to join in an argument with my classmates over who was the best batter in the Boston Red Sox. Memories of the first time I learned how to read are intertwined closely with recollections of the first time I discovered the companionship of books – of how they can educate, entertain, and sometimes even comfort – and the first time I felt isolated from other human beings. When the lights came on and the mats were put away, I would still be in my corner nook flipping through Harold and the Purple Crayon. I would eventually get up and join the other kids, but I would always look forward to the next day’s naptime.